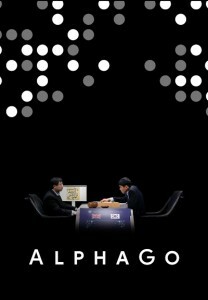 “AlphaGo,” the 2016 documentary about the historic AlphaGo-Lee Sedol match, is now available on the Google “Play” store for rental and purchase. “AlphaGo” chronicles a journey from the backstreets of Bordeaux, past the coding terminals of Google DeepMind, to Seoul, where a legendary go master faces an unproven AI challenger. As the drama unfolds, questions emerge: What can artificial intelligence reveal about a 3000-year-old game? What will it teach us about humanity? “This is such a beautiful telling of this historic moment,” comments Ben Murdoch on the site. “An intimate and at times tense portrayal of a milestone moment in AI history. Captivating!” says Marek Barwiński.